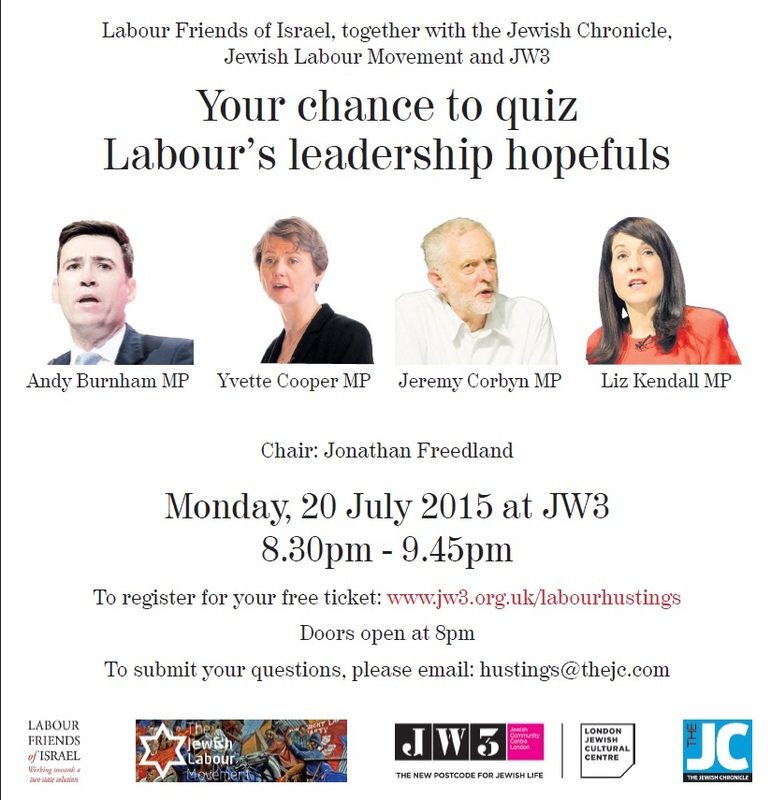 We are delighted to invite you to a special LFI Labour Leadership hustings with the JC, JLM and JW3 on Monday 20 July, 8.30pm at JW3. All four candidates for the party’s leadership – Andy Burnham MP, Yvette Cooper MP, Jeremy Corbyn MP and Liz Kendall MP – will be present to answer your questions. The event will be chaired by Jewish Chronicle columnist Jonathan Freedland. The hustings will take place on Monday 20 July 2015 from 8.30pm – 9.45pm at JW3, 341-351 Finchley Road, London NW3 6ET. Registration will begin at 8pm.